Operating off grid? You can count on our heating oil to keep you toasty. Our red diesel is delivered quickly, in any quantity, and always with a smile. In need of an on-site supply of white diesel? We can help. 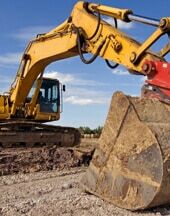 Our wide range of lubricants will keep every business running smoothly. Do you require a fast fuel delivery within the UK? We can ensure that your fuel delivery is with you within 24 hours of placing your order. Our excellent service doesn't stop once the office closes. We’re here to help and offer advice to you all day, every day, all year round. We offer our customers some of the longest credit terms in the industry, allowing you to pay for your fuel when and how you want. With over 170 years' experience delivering to customers nationwide, we're one of the oldest independent fuel distributors in the UK. We strive to be the best in our field by providing a friendly, reliable and customer-focused service. 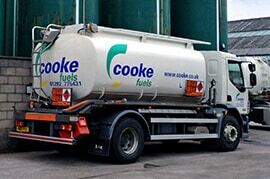 Cooke Fuels is and will always remain a privately owned UK business. 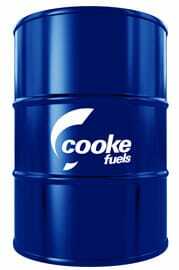 Cooke Fuels. Fuelling your success since 1845. Here at Cooke Fuels, we’re proud to say, that we have always and continue to operate independently from our base in North East Lancashire since 1845. In over 170 years of delivering fuels and lubricants, we've never lost focus of what makes our customers come back to us time and time again - our helpful, friendly and above all, reliable 24/7 service to customers across the UK. Although we've now grown into one of the largest independently owned fuel distributors in the UK, we’ve never lost sight of the customer-focused values that made us a success in the first place. So, whether you’re a domestic customer ordering a little or a business owner ordering a lot, you can always expect the same premium service delivered with a smile.